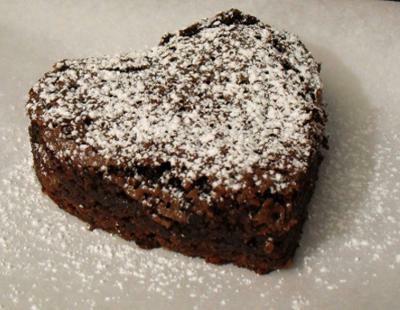 Q:Can you dust brownies with powdered sugar before freezing? However, if they get any frost (aka freezer burn) or any condensation in the container when they thaw it won't look as pretty. You can prevent freezer burn, which will also dry your brownies out, by using a good freezer container and using the smallest size you can find so it's as airtight as possible. Because air causes freezer burn and cutting food into smaller pieces creates more surface area for air to hit it and dry it out I recommend freezing the whole pan and cutting the brownies out later. To prevent condensation take the lid off the container or unwrap the brownies and let them thaw at room temperature.